The Fabia hosts the very latest in Volkswagen Group technology and safety features including Front Assist with City Emergency Brake, SmartLink smartphone connectivity with Apple Carplay and Android Auto, rear view camera, Multi-Collision Brake and Green Tech (Start-stop and brake energy recuperation) as standard across the range. 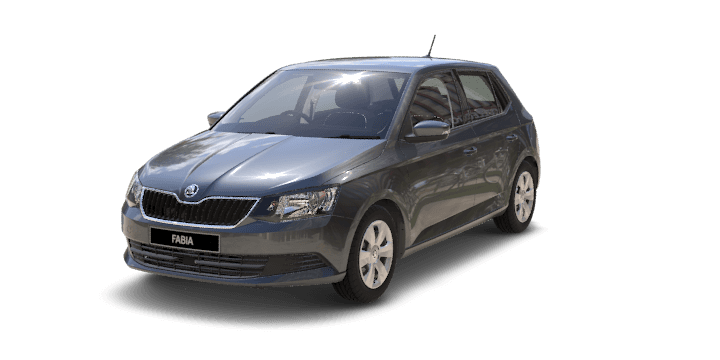 The award-winning ŠKODA Fabia has more value then ever before. Featuring the very latest in Volkswagen Group technologies and safety advancements, the versatile Fabia includes SmartLink^ Smartphone Connectivity including Apple CarPlay® and Android Auto™, Rear View Camera*, Front Assist with City Emergency Brake*, Multi-collision Brake and Green Tech~ all as standard across the range. The FABIA Wagon tends to turn heads wherever it goes. Award shows are no exception, where our clever little car picked up Carsales' Best First Car in 2015, 2016 and 2017. We hope you don’t mind the attention. The last thing we want to happen to you immediately after an accident - is another accident. Electronic Stability Control (ESC) helps you maintain control of the car if it begins skidding, while Multi-collision Brake◊ activates the braking system to help minimise any further collision. ∆Included in optional Premium Sports Pack. Combining the smarts of our car with your phone was a no-brainer. 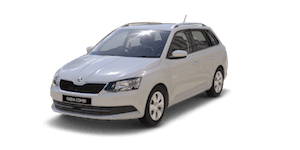 Smartlink^^ smartphone connectivity with Apple CarPlay® & Android Auto™ seamlessly connects your smartphone to your FABIA Wagon, mirroring your phone’s compatible apps on the internal screen. So, whether you want to listen to music or receive turn-by-turn directions, you can do it all without touching your phone. Just when you thought cruise control couldn’t get any smarter. Adaptive Cruise Control (ACC)◊âˆ† features a radar sensor on the front grille, allowing it to automatically brake and accelerate to a speed and distance set by you. Oh, did we mention it comes standard? âˆ†Included in optional Premium Sports Pack. There’s no such thing as a boring drive in a FABIA Wagon. The Bolero infotainment unit boasts 6.5” touchscreen with exceptional 800x480 resolution. And for your entertainment, enjoy USB, SD card slot and Bluetooth® compatibility, Digital Audio Broadcastingâˆ† (DAB+), as well as all SmartLink features. Optional Amundsen infotainment unit offers the added benefit of in-built maps. You know what else sounds great? Every FABIA Wagon features ŠKODA Surround Sound, developed in collaboration with leading audio brand Arkamys, with six speakers as standard, a unique acoustic compensation system, and a Virtual Subwoofer to enhance digital audio. A car that gets the door for you? Now that’s service. KESSYâˆ† can be added so you can lock and unlock your car, and start and stop the engine without having to insert or even handle the key. The FABIA Wagon is packed with clever features for a rainy day. Light Assist automatically adapts to changing light conditions, while the Rain Sensorâˆ† automatically adjusts the speed of the wipers to light or heavy rainfall. When you buy a FABIA Wagon, you’re making a smart choice — for yourself and the environment. Green Tech~, standard across both petrol variants, features “Start Stop” and Brake Energy Recuperation. "Start Stop" automatically switches the engine off when stationary and starts it again when you want to drive off.